In the medical device and pharmaceutical factory environments, productivity is a critical element. 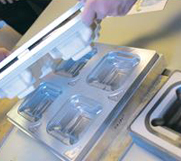 The increasing use of robots and pick-and-place systems in manufacturing have led to a rising demand for dimensionally stable, custom-designed trays. 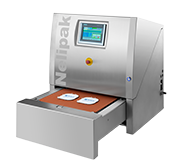 Nelipak designs and produces these trays to your requirements to meet the highest demands for process optimization. 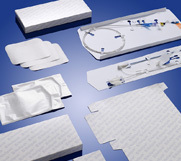 These trays can be multi-use or single trip and made from a variety of materials to suit the application. 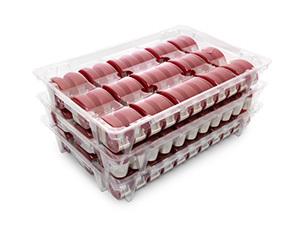 Functional features ensure product protection in transit, at the same time multi-use trays are designed to nest inside each other reducing storage space, labor and transport costs. 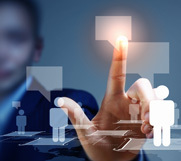 Our teams work with your automation partners to deliver solutions that operate consistently ensuring increased productivity with the automated systems they are designed for.